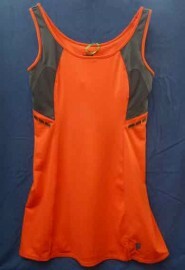 Simple tennis dress in burnt orange with dark grey contrast. 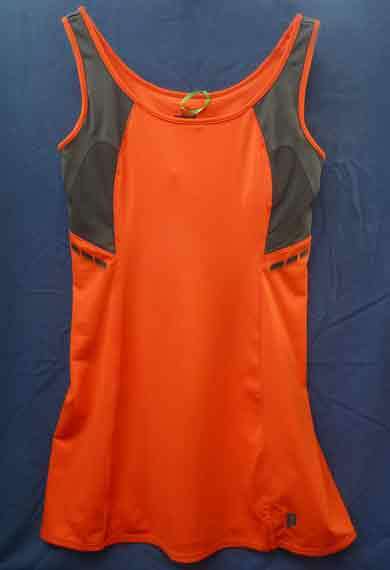 Built in bra support, full coverage at the back, wide shoulder straps. Size 12 only, but would fit size 10 too. Length is 30" from top of shoulder to hem, so probably will be too short if you are over 5'4", but perfect if you are petite build. Machine wash warm. 88% polyester, 12% spandex.